Tons of tech, but a driving experience that lacks engagement. 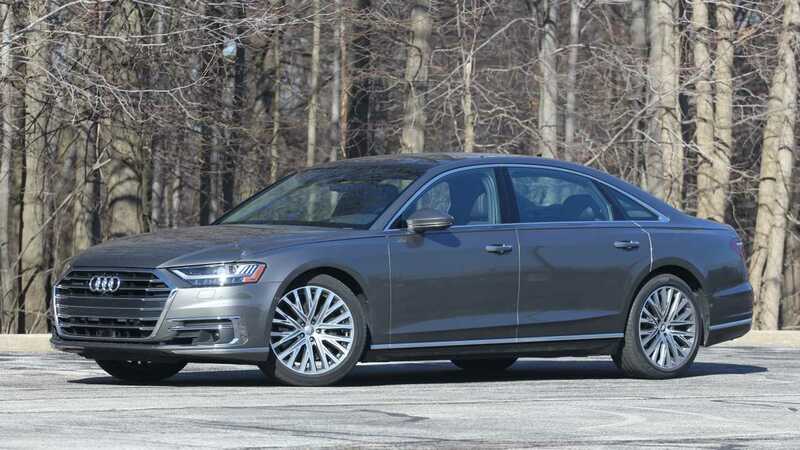 The 2019 Audi A8 is the most advanced, most expensive, and arguably the most luxurious sedan from the German manufacturer to date. It's a subtle exclamation point that's neither overly styled nor too opulent. Loaded with tech and modern safety equipment, the A8 stays relevant in an increasingly posh segment. But it has its faults. Rivals like the Mercedes-Benz S-Class and BMW 7 Series are more engaging to drive and nicer to look at. Because the A8 opts for understated opulence, it feels like a less complete package than some of its closest competitors. While tech and comfort stand out to Motor1.com editors, the A8’s subdued, almost anonymous character makes it difficult to love. The swaths of advanced tech inside the 2019 Audi A8 make it appealing. Audi's dual-touchscreen infotainment system with haptic feedback (which the company calls MMI Touch Response) is brand new. The setup looks sleek, outside of its obligation to collect fingerprints, and works as seamlessly as a smartphone. Home screen shortcuts, Apple CarPlay and Android Auto functionality, and even writing recognition all come standard. And the huge reduction in physical buttons (there’s less than 10 total in the front compartment) makes it all the more appealing. But that's where accolades for the A8 pretty much end for me. It's one of the least-compelling Audis to drive. Frankly, I had more fun fiddling with the MMI system from the back seat. The twin-turbo 3.0-liter V6 “mild” hybrid powertrain isn't the issue, or at least, it doesn't feel like it. 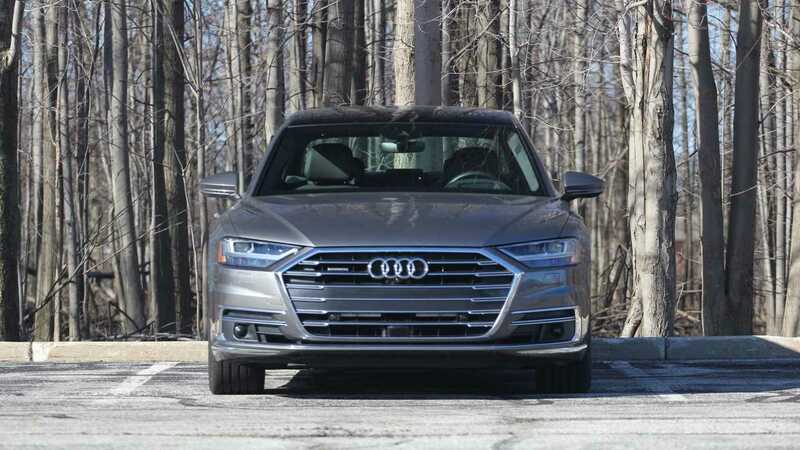 With 335 horsepower and 369 pound-feet of torque, it moves the A8 along swiftly, sending power to all four wheels via the eight-speed automatic, and returning up to 27 miles per gallon on the highway in the process. The problem is with the throttle response. There's a long, noticeable delay from when you put your foot down, and a jerky movement that follows thereafter. The communication between gas pedal, engine, and transmission feels… off. At least in Dynamic (the most potent driving mode) alleviates some of that laziness. But even then, the mode feels too lethargic to bear the name “Dynamic.” Audi tried to oversaturate the A8 with so much extravagance that it made the car less appealing to drive. 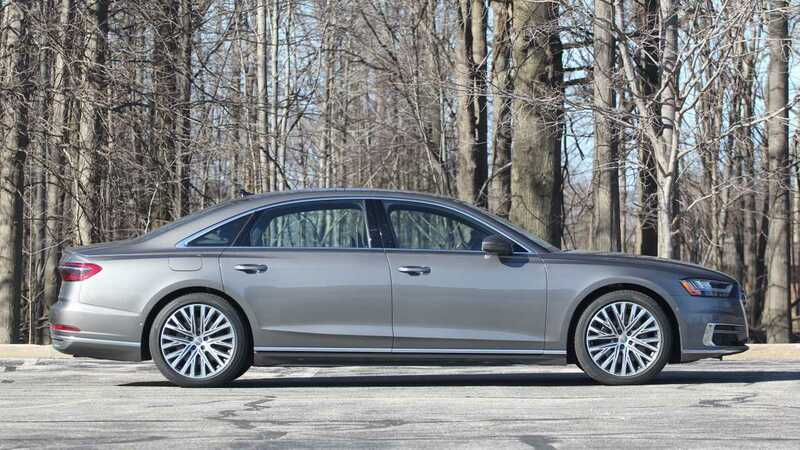 Call it the Cadillac of Audis, because the 2019 A8 L feels like a modern-day Fleetwood. It’s big, it’s cushy, and it’s boring. And the residents of Del Boca Vista are sure to love it. The A8 L is a mobile living room, and its comfy chairs, soft suspension, and quiet cabin make it an ideal highway companion. Even the touchscreen infotainment setup is free from foibles. 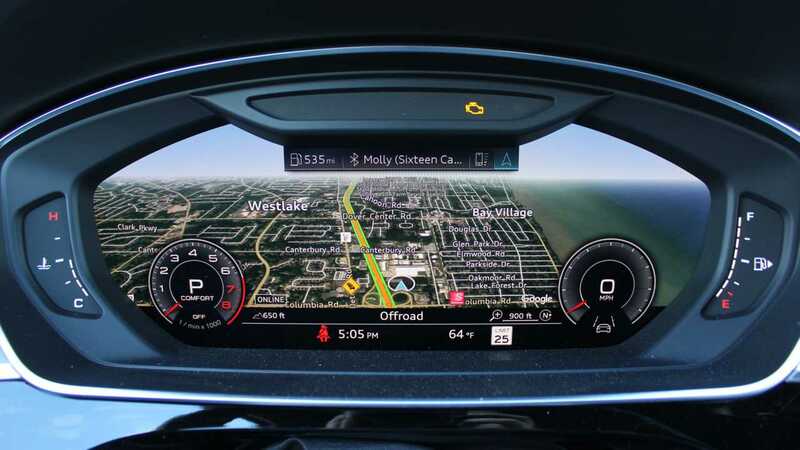 Sure, knobs and buttons remain the gold standard, but if the A8 L’s touchscreens are the new norm for in-car infotainment setups, then our button-free future looks promising. That said, the barrage of finger-print smudges left on the screens remains rather irksome. Unfortunately, there’s little enjoyment from the driver’s seat. Blame this big car’s lifeless steering, understeer-prone chassis, and uninspired powertrain. The turbocharged 3.0-liter V6 is dull and lacks any semblance of character. It also suffers from noticeable throttle lag off the line. Yes, some of this is surely the turbo’s fault, but most of the delay seems to stem from the car’s poorly mapped throttle and easily tripped-up eight-speed automatic transmission. 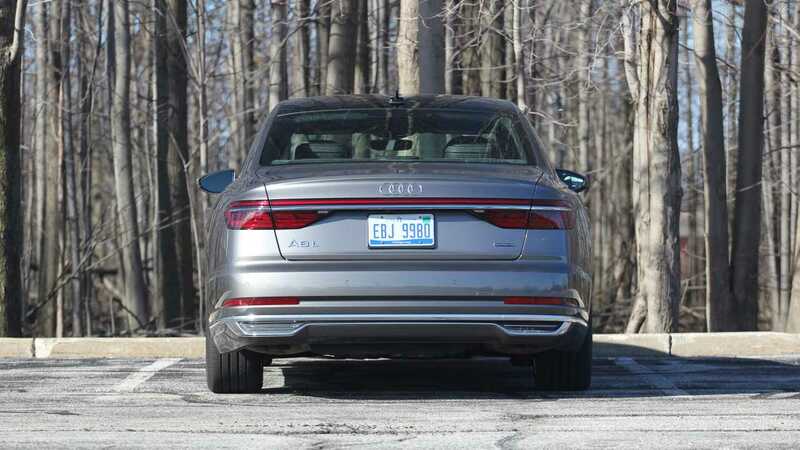 The A8 L is also rather dull looking, and the statement its styling makes is not “I’m a trendsetter,” but “I’m anonymous.” Sure, the Audi’s boring design will appeal to some buyers, but I imagine many others will march right past the A8 and instead opt for the more distinguished looks of the Mercedes-Benz S-Class, Lexus LS, or BMW 7 Series. As my wonderful colleagues pointed out, Audi’s latest MMI infotainment system is a real treat in an otherwise forgettable car. In general, multi-screen systems tend to overlap in the information they show. But Audi’s execution of this new MMI system is excellent. The haptic feedback is delicate but just strong enough to confirm when an input is made. This makes movement between menus easy. My only complaint is what happens when the screen is off. Holy crap, this thing picks up fingerprints! Aside from needing to keep a cloth in the car, the Touch Response MMI system is a home run. But it seems Audi poured all of its attention into the infotainment because the A8’s exterior styling is truly a bore. While the segment isn’t exactly filled with beauty (the 7 Series grew buck teeth and the S-Class is due for a refresh), Audi’s halo sedan is just too plain. Rip the four rings off of it and the A8 could wear a Volkswagen badge without anyone thinking twice. It’s the least compelling design in Audi’s sedan lineup when it should be the trendsetter.